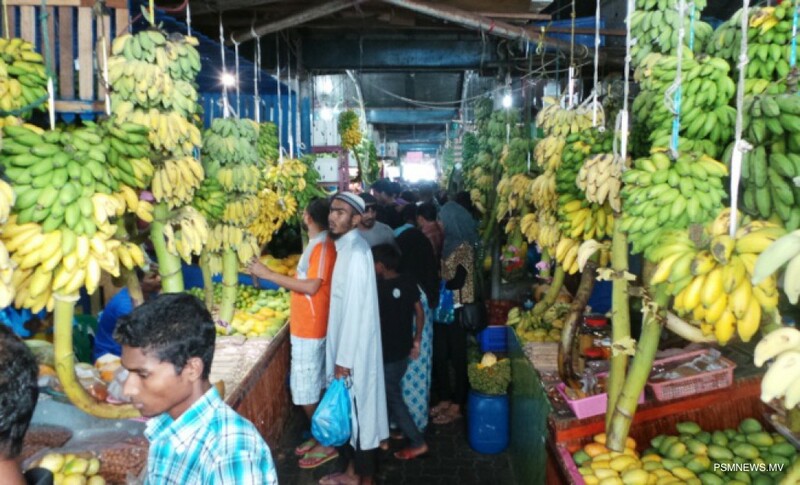 Ministry of Fisheries and Agriculture has revealed the most number of fruits and vegetables brought to Male' Local Market were from Alifu Alifu Atoll. 67% of fruits and vegetables brought to Male' were from islands of Alifu Alifu Atoll in the past week, according to statistics of the ministry. Meanwhile, statistics showed that 27% and 6% of fruits and vegetables were brought to Male' from islands of Kaafu Atoll and Thaa Atoll respectively. Last week, a record number of papaya were brought to the market from the islands. In this regard, it was recorded over 10,000 kilograms of papaya were brought to the local market. In addition, cucumber, pumpkin, banana and Chinese cabbage were also brought to market last week.